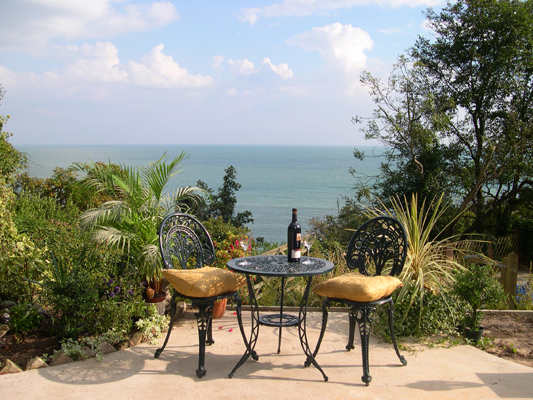 Tastefully furnished and equipped to a very high standard, this one bedroom self-catering holiday accommodation offers spectacular sea views overlooking St Margaret’s Bay and the French Coast. Located in White Cliffs Country and the heart of the St Margaret’s conservation area; Kent Coastal Trail, Pines Gardens, Coastguard pub/restaurant and beach all within 4 minutes on foot. St Margaret’s Bay is surrounded by National Trust land and offers excellent pubs, restaurants, village shops and post office. Historic city of Canterbury and Sandwich only 20 minutes drive and the Port of Dover just 10 minutes by car. Dover, Deal and Walmer castles all within 20 minutes drive. Excellent base for sight-seeing, golf, horse riding, water-sports, coastal/countryside walks, bird watching, day trips to the continent, exploring local history and heritage, touring the ‘Garden of England’ or just relaxing.